Rustproofing in Buffalo, NY by Bison Fleet Specialists. Undercoating and Rust Protection. 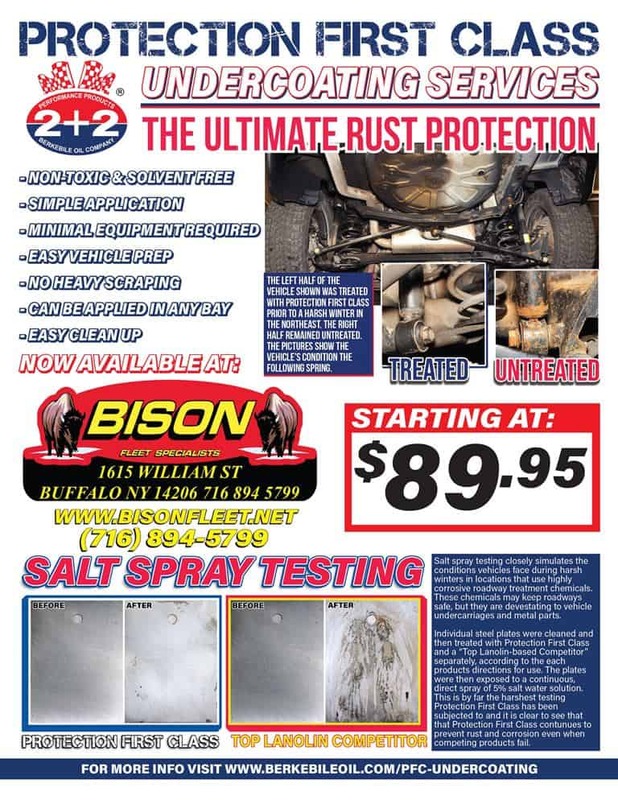 Bison Fleet Specialists is now offering a professional rust-proofing undercoat protection to vehicles in our Western NY shop. Protect your vehicle from the salt on Buffalo’s winter roadways with PFC: Protection First Class – The Ultimate Rust Protection. This spray-on rust proof application can be done quickly & inexpensively by Bison Fleet’s expert team. Located at 1615 William St, our shop is the best place to find rustproofing nearby. 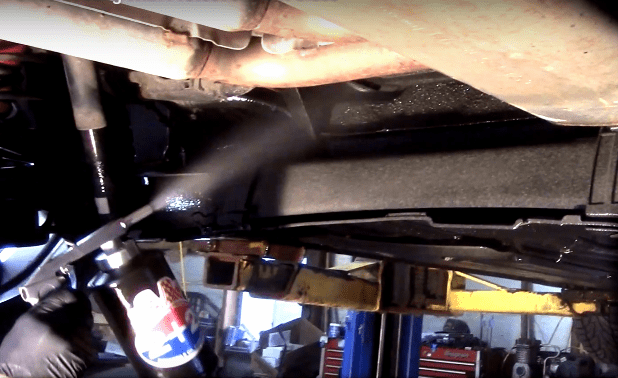 Don’t let Buffalo winter corrode your undercarriage! Prevent corrosion & prevent salt damage with spray-on rustproofing. When it comes to under car rust protection, you’ll find no better undercoating service in Buffalo than Bison Fleet Specialists. Our PFC rubber spray is safe and is the best spray for rustproofing your vehicle, car, truck, SUV, van, RV, or any other automotive. Rustproofing is the prevention or delay of rusting of iron and steel objects, or the permanent protection against corrosion. Typically, the protection is achieved by a process of surface finishing or treatment. Depending on mechanical wear or environmental conditions, the degradation may not be stopped completely, unless the process is periodically repeated. Bison Fleet’s application of spray-on PFC coating will last up to a year! Protection First Class offers an inexpensive alternative to rubberized undercoating. PFC rust preventative remains soft and flexible, and actually heals itself and continues to coat long after other water soluble or solvent based products have evaporated or worn off. 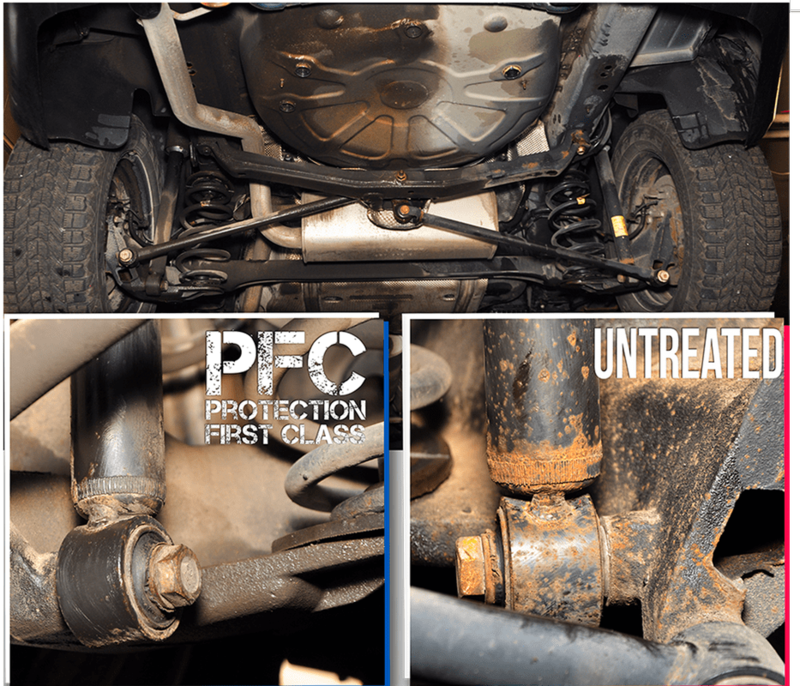 Another great feature of PFC is that its translucent film is easy to see through and diagnose problems before they happen, unlike rubberized undercoating that masks the problem and allows rust to grow and spread under its surface! Lasts for up to a year!